What I love about this time of year is all of the awesome gift sets that come out for the holidays. One of my gift hacks - is to buy a few of these sets and break them up to gifts to my girlfriends and family. 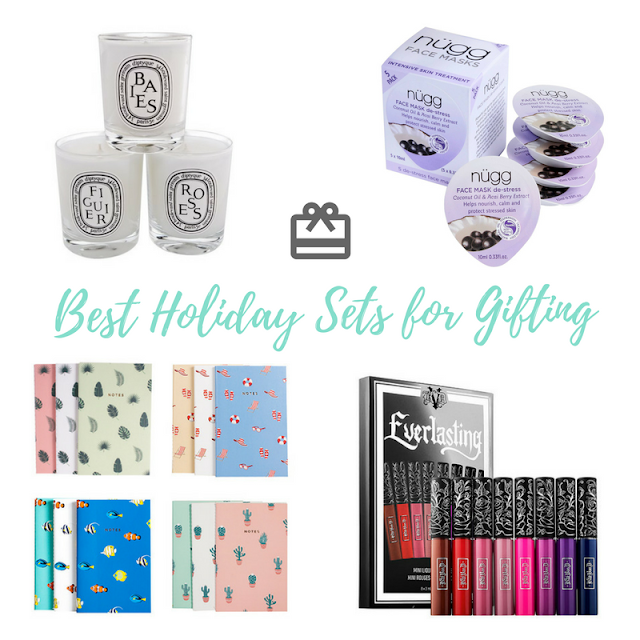 I've rounded up some of the best holiday value sets out there that would be great to combine together into a little gift bundle. I like to combine a makeup product like a lippie or a mascara, a face mask and maybe something additional like a notebook or fancy hair tie. The combinations are endless. Best of all, you can even make yourself a little bundle to keep also! What are some of your holiday gift hacks? Hi Mindy! Your picks are just perfect! I want it all --- is that being too greedy? My heart needs all of the make up selections!